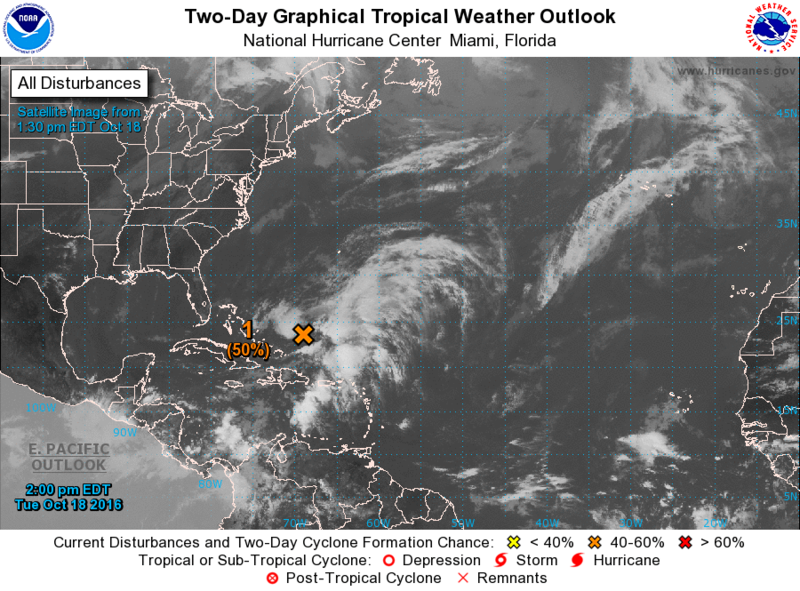 The NHC said, “Shower and thunderstorm activity has increased and become a little better organized since yesterday in association with a well-defined, non-tropical low pressure system located a couple of hundred miles northeast of the Turks and Caicos. “The low is expected to acquire some tropical characteristics as upper-level winds become more conducive, and a subtropical or tropical cyclone will likely form during the next few days. “The low is forecast to move northward on Wednesday and turn northwestward on Thursday, before heading northeastward out to sea by the end of the week. The NHC said the formation chance through 48 hours is 50%, and the chance through 5 days is 80%.